What’s Long, Skinny, and full of Awesome!? Chile, that long, narrow country that winds down the western coast of South America. It’s big, beautiful and full of incredible experiences. Family travel to Chile is amazing, and with such a variety of landscapes stretching from the base of South America and up to the bottom of Peru, there is no lack of places to go in Chile. From the southern tip, on Patagonia tours, and searching for things to so in Santiago, travel in Chile is epic, beautiful and unforgettable. 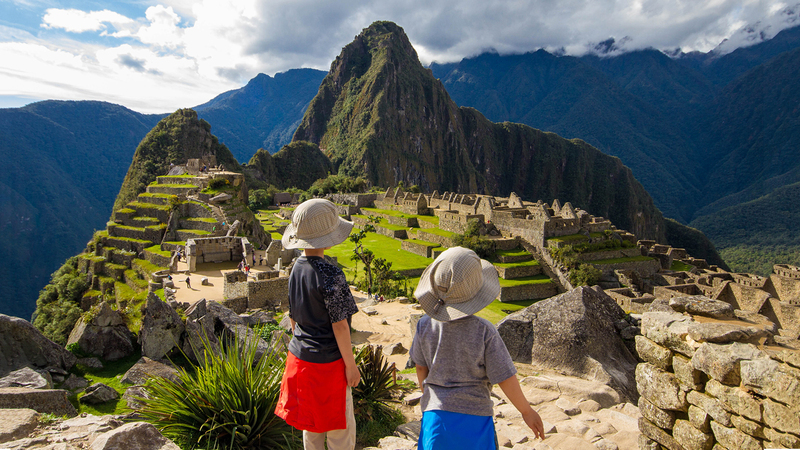 Explore the best of Chile with Kids! Check out some of our most popular Chile blog posts. Getting up before the sun to visit the amazing El Tatio geysers high up in the Andes mountains is one of the best ways to start a day! Rapa Nui, or Easter Island is a bucket list destination. But there is more to see than just the famous Moai. Discover all the amazing things to do on Easter Island! Hiking through the driest desert on earth while 6 months pregnant isn’t for everyone. But we wouldn’t let something like morning sickness and swollen feet get in the way of an adventure! Currency in Chile is the Chilean peso. The average value of the Chilean peso is approximately $0.0016 USD. You can check out the current value here. The capital of Chile is Santiago. This urban metropolis is home to amazing museums and beautiful culture. Cellular phone service is readily available in most urban areas of Chile. Sim cards are available for unlocked phones. Most roads and highways in Chile are well-maintained. Driving is relatively easy for newcomers to the country. Speeding is not uncommon in Chile, so be cautious while driving. Easter Island, or Rapa Nui is one of the most remote islands in the world. But it has regular plane service from Santiago, Chile. You can read more about Easter Island here. Family travel to Chile is very popular. Chileans are generally warm towards children. There are many museums and family-focused attractions throughout the country.